The decision to demonetise Rs 500 and Rs 1000 notes led to a significant shortage of currency in a cash-dependent economy. New Delhi: In its submission to the parliamentary standing committee on finance, the agriculture ministry has admitted that demonetisation caused severe hardships to farmers, The Hindu reported. “Millions of farmers were unable to get enough cash to buy seeds and fertilisers for their winter crops. Even bigger landlords faced problems such as paying daily wages to the farmers and purchasing agriculture seeds for growing crops,” the ministry’s report said. “India’s 263 million farmers live mostly in the cash economy,” it added. The admission comes two years after Prime Minister’s Narendra Modi’s decision to suddenly demonetise currency notes of Rs 500 and Rs 1000. The agriculture ministry has also pointed out that the move came at a time when farmers were either selling their kharif crops or sowing their rabi crops. Cash was the mode of transaction for both. Due to the cash crunch, the National Seeds Corporation failed to sell 1.38 lakh quintals of wheat seeds. Wheat is a key rabi crop, with over 300 lakh-hectare area under wheat cultivation. 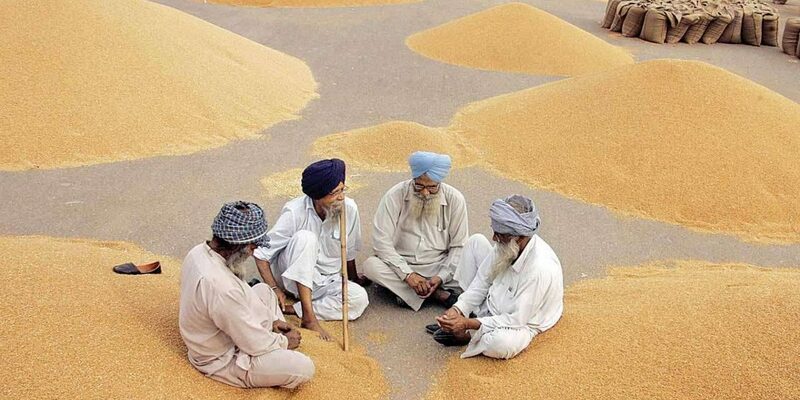 The ministry of agriculture’s report also said that the sale of wheat seeds did not pick up even after the use of old currency notes was allowed by the government for its purchase, the English daily reported. Studies have pointed out that the prices of all crops crashed immediately after demonetisation. The crash was the most severe for vegetables and fruits which do not have the cushion of minimum support price or assured price. As The Wire reported earlier, prices for several vegetables crashed and farmers were forced to dump their produce on the streets. The prices of potatoes in UP, for instance, fell 41% to Rs 532 per quintal after demonetisation. The downward slide did not end there. In March 2017, prices crashed to Rs 399 per quintal, well below the average cost of production at Rs 500 a quintal. Prices did not correct even in the following season, a full one year after demonetisation. Even in November 2017, prices remained around Rs 400 a quintal. “Demonetisation ensured that traders had very little working capital. They forced farmers to sell at lower prices. Demand also fell as the entire unorganised sector was deprived of their mode of transaction. There were many reports that people were not able to buy enough food. These factors played a huge role in the price crash that followed demonetisation. And cash shortage continued till June, so the impact was felt for a very long time period,” professor Arun Kumar, economist and author of a book on impacts of demonetisation, told The Wire in February this year. We have also reported how demonetisation was a key factor that led to a sharp decline in prices of garlic ­– from Rs 130 a kilogram to Rs 20 a kilogram. What was a golden crop for farmers in the Malwa region in western Madhya Pradesh and Hadoti region in eastern Rajasthan, led to one of the watershed moments in the history of peasant protests in India – the Mandsaur protests of June 2017. Aabshar H. Quazi of Hindustan Times has also reported that at least five farmers have committed suicide in and around the Kota region owing to the crash in garlic prices. Roshan Kishore, also of Hindustan Times, recently analysed the long-term impacts of demonetisation on the rural economy. He concluded that it had two negative impacts for rural folk – rural wages declined after demonetisation and rural food inflation exceeded urban food inflation. “Agricultural wages picked up again in early 2016, probably aided by normal rainfall after two years. However, demonetisation killed this short phase of recovery,” he wrote explaining how the trajectory of rural wages moved. This coupled with the fact that rural food inflation exceeded its urban counterpart, meant that the rural population, already suffering undress distress, were put at a further disadvantage after demonetisation. “The bargaining power of farmers was always low, but demonetisation amplified it,” Kishore concluded.